All excerpts, articles, images and music Copyright © 2008-2019 Richard Merrick or their respective owners. All Rights Reserved. In 1992, I was involved with a large scale rock event in Las Vegas coinciding with the Micrografx Chili Cookoff entitled The Grand Scientific Musical Theater. Using this as inspiration, I later created a 3D graphic novelette with the same name. Although it was only used as a fundraiser giveaway for the Centraltrak artist residence in Dallas, the book was never officially published. 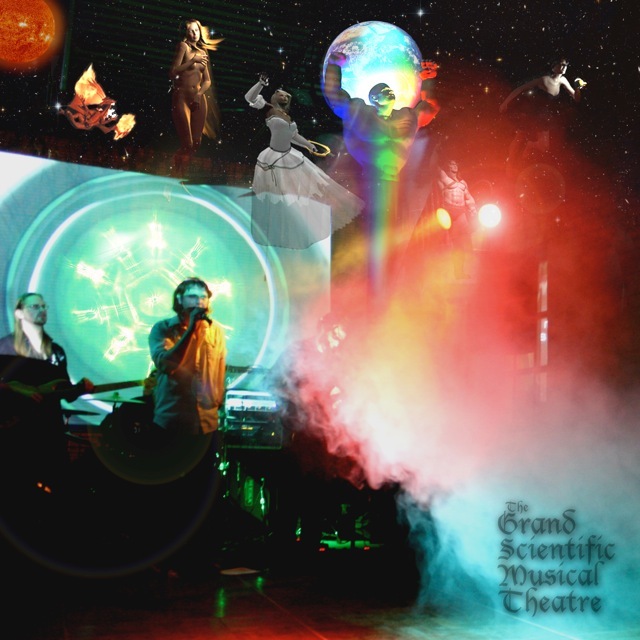 However, it did inspire a live event featuring the story thru poetry reading, a scientific demonstration of cymatics, a musical performance by Distant Lights and a choreographed dance number by The Effect. To learn more about the book, artwork, live event and history of the GSMT, click on the sub-tabs at left.